Award-winning actor, director, and activist Aaron Wolf will be releasing Restoring Tomorrow as a Fathom event in theaters nationwide on November 13, and proceeds from the film project will benefit victims of the shooting last week at the Tree of Life synagogue in Pittsburgh. The film, which tells the tale of Los Angeles’ Wilshire Boulevard Temple, delivers a positive message for America to come together and unite communities, rather than tear them apart with hatred, extremism and violence that not only has affected the Jewish community, but also the Christian community and other religious communities in recent years. “This is an important story and I encourage NRB members to take a careful look at it in light of recent events in our country,” said Michael Little, chairman of the National Religious Broadcasters’ Board of Directors. Directed by Wolf and shortlisted for the 2019 Academy Awards, Restoring Tomorrow tells a universal story of hope and action. Wolf, a New York resident, comes back to his native Los Angeles to visit the temple of his youth, where his grandfather, Rabbi Alfred Wolf, an influential rabbi and pioneer for interfaith unity, once led. Seeing the building in great decay, Wolf embarks on an against-all-odds mission to restore the historic worship landmark, in an effort to help restore the community and bring back people to their faith. The building – the Wilshire Boulevard Temple – was built in 1929 with the support of legendary Hollywood moguls including Warner Bros.’ Harry Warner and MGM’s Louis B. Mayer and Irving Thalberg. While chronicling the restoration of the temple, Wolf finds himself restored, as he reconnects to his synagogue, community, and ancestral roots. Wolf created the film in an effort to launch a movement, by inspiring younger generations for a call to action to restore historic places of worship, and thus the communities, that have seen an incredible decline in recent years nationwide. The film showing on November 13 will be followed by a unique interfaith and intercultural dialogue led by Wolf as he brings people from different backgrounds – both political and religious – together to find common ground amidst their differences. This follows the charge of Wolf’s grandfather, who escaped Nazi Germany with the idea that he was coming to a free land to practice and promote hope. The dialogue participants include Los Angeles Mayor Eric Garcetti, radio personality Michael Medved, Christian filmmaker Phil Cooke, and Rabbi Steve Leder. In conjunction with the release of the film, Wolf will also be launching a nationwide social media campaign called “Collage of Communities” that will encourage viewers attending the theatrical Fathom Event on November 13 to take and submit (via social media) group photos that will be converted into a collage and distributed with messaging that unites people all over the world. 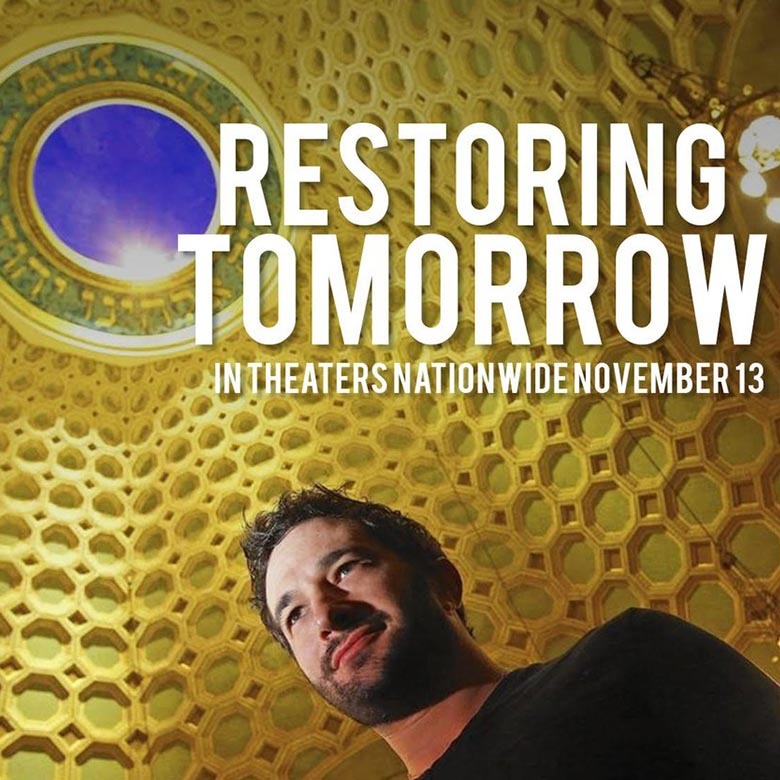 To purchase tickets for Restoring Tomorrow, click here. To learn more about the film, visit www.restoringtomorrowfilm.com.